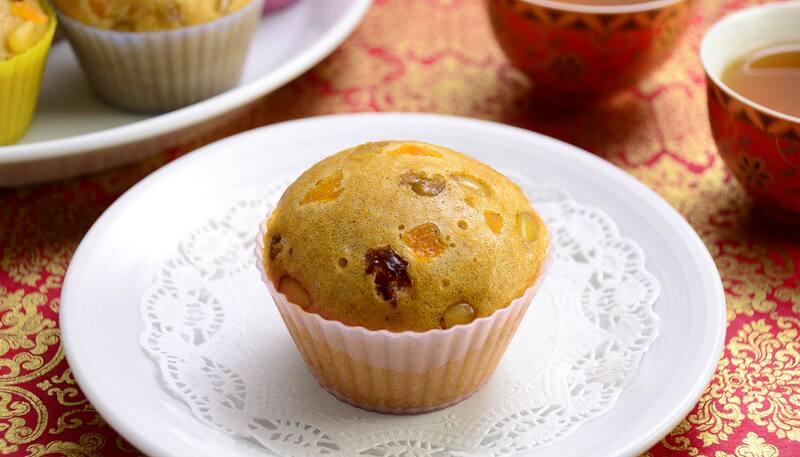 This sweet steamed cake is a Dim Sum dish that is served warm. 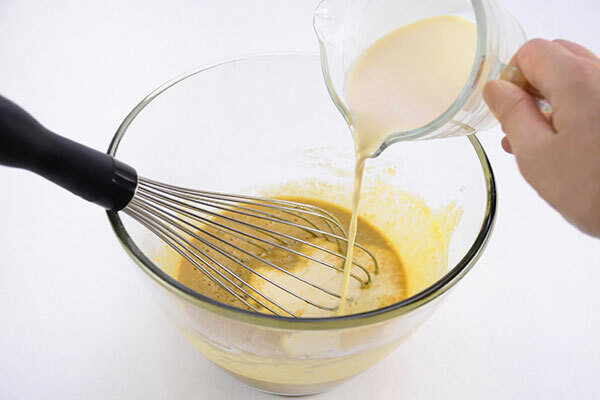 Traditionally it takes 3 days to ferment the batter to achieve its signature brown color and spongy texture. This version of the recipe is a quicker, updated one. You will need eight 3 oz. 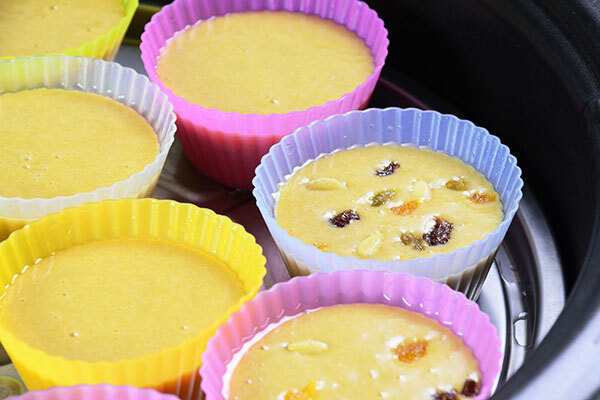 custard cups or baking cups, under 2.5 inches tall, that fit in the Gourmet d’Expert® Electric Skillet (EP-RAC50). 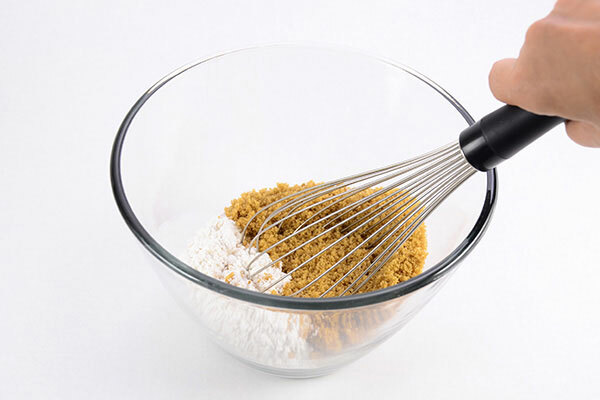 In a large bowl, place cake flour, corn starch, baking soda, vanilla pudding mix and brown sugar, and combine well with wire whisk. 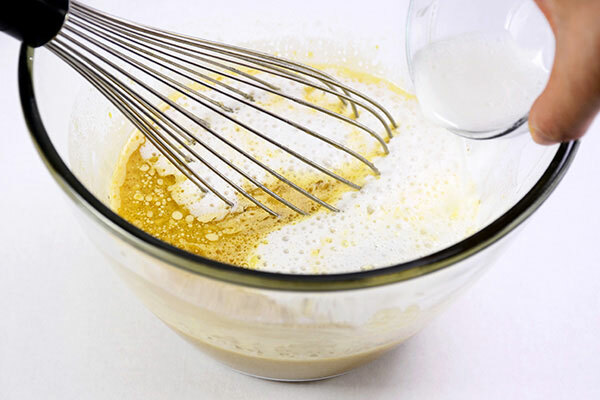 Add eggs and evaporated milk to the bowl and mix well. 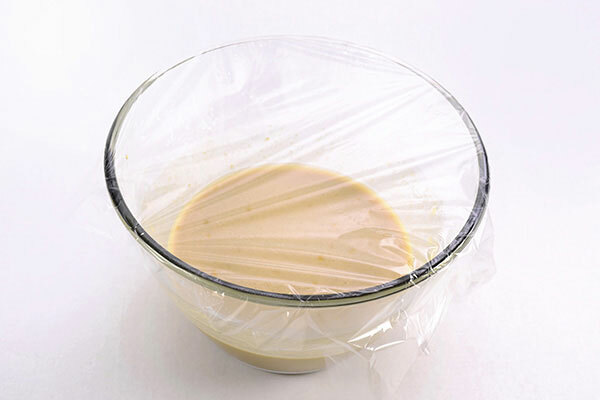 Cover the bowl with plastic wrap and let rest for 30 minutes at room temperature. Grease custard cups or place paper liner in cups. 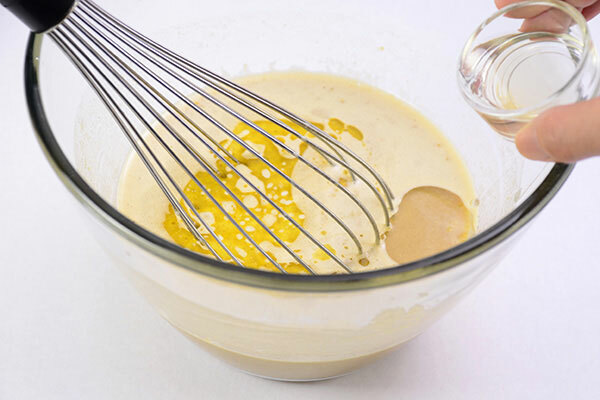 Add butter and vegetable oil to the mixture and mix lightly. 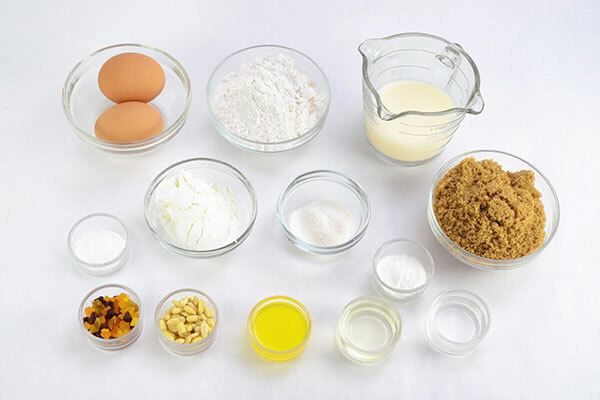 Dilute baking powder with 1 teaspoon water and add to the bowl and combine. 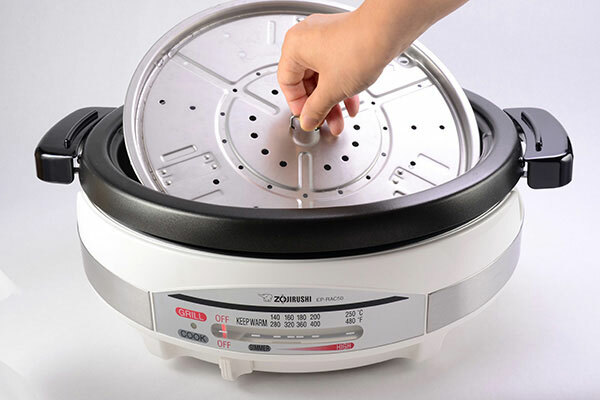 Add 3 cups of water (not in ingredient list) to the deep pan of your Gourmet d'Expert® Electric Skillet (EP-RAC50), and place the steaming plate inside with its legs at the LOW position. Place the prepared custard cups on the steaming plate. 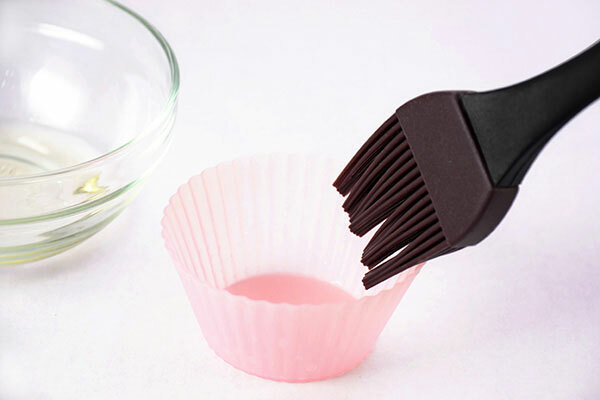 Carefully pour the mixture into the cake cups, to about 80% of its capacity. 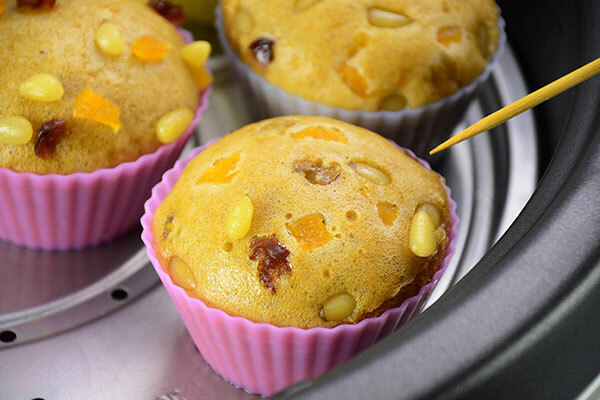 Gently sprinkle nuts and dried fruit on top. Cover the lid and turn the control lever to HIGH. Once it reaches a boil (or when steam begins to rise from the gap between the pan and the lid), steam for 20 minutes. Insert a toothpick to the cake to check doneness (the toothpick should come out clean). Be careful of the hot steam. 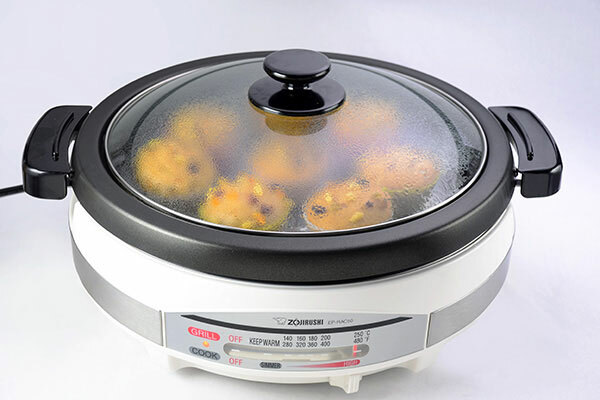 When cakes are done, turn the control lever to OFF, remove and serve while hot.